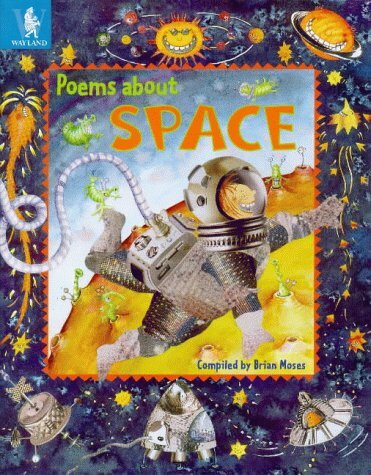 Poems about Space features rockets and spaceships, the moon, stars and solar system and aliens in a largely contemporary selection of poems. With space as the theme, I searched in vain for just one poem which touched upon the awesome nature of the subject but the majority of those included are very lightweight. Decoratively illustrated, this book will probably give passing pleasure to young readers but there is nothing truly memorable or mind stretching. Poems about School – with glimpses of the Caribbean, Africa and India – is a stronger collection. 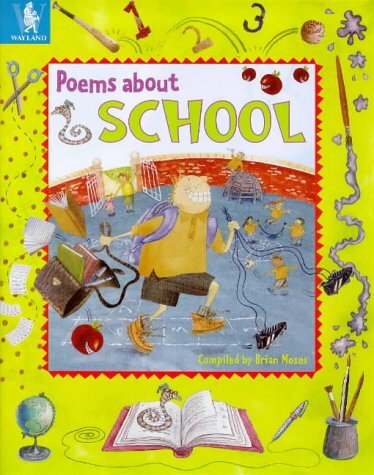 The emphasis is on the lighter side of school life: action rather than reflection with lively chantable rhymes by Ann Bonner and Wes Magee as well as more introspective poems about loneliness by Helen Dunmore and Pauline Stewart.